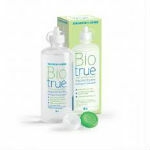 Get a free Biotrue Contact Lens Solution Sample from Target. Click on Request sample under the product. Complete the simple survey and provide your delivery information.